Update: An updated script has been posted with some improvements, here. This post details how to fix this issue, when Flash won’t uninstall correctly from a GPO deployment. I deploy the latest Flash versions through Group Policy, because it’s quick and simple. Some time ago, there was a version of Adobe Flash Player (10.1.5xx I think) that began causing problems with later versions. What would happen is upon upgrades to Flash being pushed out, when updating the previous version an error would be logged. The GPO would successfully update the player, however it would continue to try updating every day, every time the computer started. This occurred for both Windows 7 and Windows XP, and got to be quite annoying for my users. "The file 'installax.exe' is not marked for installation"
Based on various forum reports (http://forums.adobe.com/message/3124297) it seemed to be a problem with Flash leftovers. These keys are a mix between Windows 7 x64 and Windows XP. After that I manually installed the latest version, and it was successful. Now I needed to write a script that would remove these values and install the latest version. I wanted to run this as a Shutdown script through group policy, rather than trying to push it out to all our clients through a scheduled task or something. This way it would eventually get applied to everyone. I think I’ll wait a period of time, and then disable this script and go back to a GPO msi install. I made extensive use of echo and pause statements to ensure it was being applied correctly. Because I didn’t want a script for Windows 7 x64 and a separate one for Windows XP, there’s a bit of logic thrown in to check for version. :: Check if the latest version is installed already in Windows 7. If so, exit. Otherwise install Set "AdobeVersion=" & setlocal & Set "$V="
:: Look in the Uninstall area of registry, where the installed version of Flash player is listed Set "RegKey=HKLM\SOFTWARE\Wow6432Node\Microsoft\Windows\CurrentVersion\Uninstall\Adobe Flash Player ActiveX"
Findstr.exe /ri "\<%RegItem%\>"^)') Do Set "$V=%%!" endlocal & call Set "AdobeVersion=%$V%"
:: Check if the latest version is installed already in Windows XP. If so, exit. Otherwise install Set "AdobeVersionXP=" & setlocal & Set "$T="
:: Look in the Uninstall area of registry, where the installed version of Flash player is listed Set "RegKeyXP=HKLM\SOFTWARE\Microsoft\Windows\CurrentVersion\Uninstall\Adobe Flash Player ActiveX"
Findstr.exe /ri "\<%RegItemXP%\>"^)') Do Set "$T=%%!" endlocal & call Set "AdobeVersionXP=%$T%"
This script successfully runs on Windows 7 and Windows XP, and merely exits when the latest version is already done. What scripting language is this written in? Do’h nevermind, I see it’s a batch file. Thanks! I’ll let you know how my experience goes. Hi, just wanted to say thanks for the script, this problem only just reared its head on a small network I look after – the above saved me a while doing it manually. You’re welcome; I’m glad it’s working for others, and not just my environment as well. We don’t have any Windows 7 32bit machines, so it hasn’t been tested on that. However, the version check only compares the name of the Program Files directory, and then only matters for the relevant registry check. Because of this, I would assume Windows 7 32bit would work exactly the same as Windows XP, since the paths are the same. Its all the same executable for Flash. Thanks for sharing, had the same problem! The simple way to remove the registry entries is with “Group Policy Preferences” (run once), no scripts. This looks like it should resolve our issue here! I have one quick question though. Do we need to update the .reg file with the IDs for newer versions of Adobe Flash as they are released so that it can remove them from the registry properly? I searched for all of those and they are not located on my computer. Or is that .reg file containing only the versions of Adobe Flash with the bungled uninstaller and thus never needs to be updated? I can’t say for all cases, but I know in my case those registry entries applied to the specific version with the problem. I let the shutdown script run for a few weeks to make sure it applied to all my desktops and laptops that were coming and going, and then disabled it and went back to the standard Flash msi install through GPO. I’ve been keeping Flash up to date since then, and the problem hasn’t reoccurred. Since those entries aren’t there for you, I’d search the HKCR\Installer key for any reference to either “Adobe” or “Flash”, make note of those keys, and then remove them one by one to determine which one is the culprit. This worked for me on 10.2.159.1 (attempting to uninstall 10.2.153.1) – at least in manual testing. I have yet to roll it out via GP. I was getting errors in GP on install of %%1274 and the ‘not marked for install’ running the MSI. The existing version was uninstalled, so all I had to do was remove the reg keys and install. to the reg key remove list. Thank you for pointing me in the right direction Mr Miles. I found the entries for our problems were different ones. Most of our computers were fine but some had problems with Flash Plugins and some with Activex and some both. The best way to fix a computer or set of computers is to first uninstall all Flash and then note all remaining Flash entries in HKEY_CLASSES_ROOT\Installer\Products. These entries can vary based on what versions got corrupted on your systems. I found that Installer\Features entries didn’t matter for us. This ended up being the fix for us for both Plugin and Activex. We tested it and are deploying it via GPO. I second what Mark wrote. For us it was also neither the Installer\Features but rather a legacy Installer\Products entry that was corrupted. Once it was deleted, the install went perfect. This post definitely got me going in the right direction. For me, it was a custom transform I’d applied to the Flash installer for a previous version, and it was also in HKCR\Installer\Features. Once I removed that I was able to install a new version of Flash. I second Frodo’s comment, by the way. Group Policy Preferences has the option for a one-time Scheduled Task which will work quite well for this. I am currently in the process of fixing this for my environment which is XP 32-bit and 7 32-bit so I am having to make some changes to the way the script above works. As we’re fully 32-bit the OS checks need to be slightly different. This is what needs to be added to the script kindly posted by jwmiles. echo Machine OS cannot be determined. You would basically need to replace the “echo OS Version…” line with the version specific code found above. If I get time, I might post my completed script later. This will work for ANY version of Windows. All you need to know is the version number and add another entry accordingly. For example, Vista would be ver | findstr /i "6\.0\." > nul. Ok, here’s my completed script which works. I have made some changes. * I couldn’t locate the relevant Adobe key within the Uninstall key in the registry, therefore I have changed the registry location which is checked for the current version number. * Finally, copies a preconfigured mms.cfg file to system32\Macromed\Flash folder to disable flash auto-updates. This prevents helpdesk calls from users who are being pestered to install Flash updates whenever they log in. Set "AdobeVersion=" & setlocal & Set "$V="
Findstr.exe /ri "\"^)') Do Set "$V=%%!" Set "AdobeVersionXP=" & setlocal & Set "$T="
Findstr.exe /ri "\"^)') Do Set "$T=%%!" Let me know if this helps you. Thanks Chris, those are some great additions! I’ve also incorporated variables to help keep it up to date without having to go through the entire file. After removing old FlashPlayer entries with this tool, the installation of the newest version finally worked. I changed the value to 0 and that fixed it when removing the other registry entries did not. I created a GPO and it installs flash player 11.4 successfully on some machines, however, on machines with some previous versions of flash 10.x, the GPO doesnt install version 11.4. If you reboot the computer on the problemmachines, during the GPO appying computer settings you actually see “install adobe flash player active x 11.4…” but it doesnt install. In control panel the old 10.x version that was pushed out via GPO is still there. I do not have the GPO or files\install for the 10.x version, it has been mistakenly deleted. 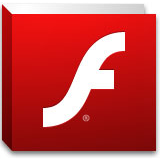 Product: Adobe Flash Player 11 ActiveX — Error 1714.The older version of Adobe Flash Player 11 ActiveX cannot be removed. Contact your technical support group. System Error 1612. ?Even if I try the manual uninstall from Adobe, I still cannot install version 11.4 from the GPO. Any ideas someone please? ?Adobe – It shouldnt be this hard!!! because of this very problem. Even though it’s not pushed out by GPO, occasionally the install will fail if the previous version install file isn’t found, so I keep them around. Thank you for your reply. I actually need versions 10.3.181.26 and then I saw 10.2.153 on another machine, so since so many machines in our domain can be different version I need somethig that can totally wipe out any existence of flash player on the computer and install the 11.4 from gpo, maybe thats the only sure way? Even with Windows 7 on a fresh computer the gpo works great, but if you uninstall manually and reboot the gpo will sometimes install 11.4 again and sometimes not. In an environment with so many different versions of flash player I need to make things standard. I would like to continue doing that with GPO, but although the GPO works in its self it doesnt always install the 11.4 msi since it probably detects the older current version on the computer or it has install files in the registry causing problems, I dont know. At this point, I’m willing to try anything to just install 11.4 accross the board. Thanks. I deleted 3 instances of “adobe flash player”on one machine in the registry and rebooted and the gpo applied. So we know that the problem resides with the remnantes of adobe in the registry that the adobe flash player uninstaller cant remove. Any ideas? I cant go around and manually delete 3 registry entries in the domain. Jeff – Please send me those files, I neeed them!! Thanks!! Do you have a link where I can download them from? Hammy, have you checked out my updated post linked at the top of this one? I had found that using GPO just wasn’t working, so I’ve changed to a startup script that checks for versions and installs the correct one.